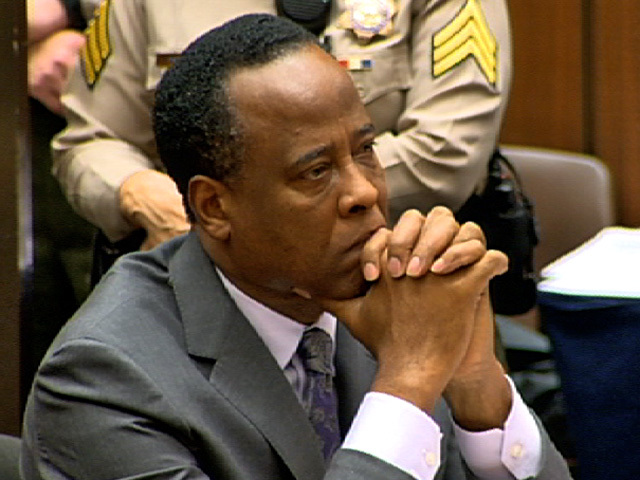 The doctor convicted of involuntary manslaughter in the death of pop legend Michael Jackson has filed a widely anticipated appeal, TMZ reports. Murray signed the notice that was filed in Los Angeles on Friday seeking all records and transcripts from the case. The filing does not indicate the basis on which Murray will argue to overturn his conviction or sentence. TMZ reports that Murray filed the appeal in pro per, meaning that he is representing himself rather than using an attorney. "While he is representing himself, Murray is still communicating with one of the lawyers who repped him in the manslaughter trial, Nareg Gourjian," TMZ reports. Murray was convicted of involuntary manslaughter earlier this month after a six-week trial that presented the most detailed account yet of Jackson's final hours, and how the 58-year-old cardiologist administered the powerful anesthetic propofol to treat the superstar's chronic insomnia. Superior Court Judge Michael Pastor chastised Murray for a "horrific violation of trust" in caring for the pop star and called the heavy use of propofol "medicine madness." Several members of Jackson's family, including mother Katherine and siblings LaToya, Jermaine, Randy and Rebbie, attended the proceedings. During the investigation into Jackson's June 2009 death, Murray told detectives he had been giving Jackson nightly doses of propofol to help him sleep as he prepared for a series of comeback concerts. Propofol is supposed to be used in hospital settings and has never been approved for sleep treatments, yet Murray acknowledged giving it to Jackson then leaving the room on the day the singer died. Murray declined to testify during his trial but participated in a documentary in which he said he didn't consider himself guilty of any crime and blamed Jackson for entrapping him into administering the drug. Murray is only expected to serve two years of the four year sentence if his appeal is not successful.